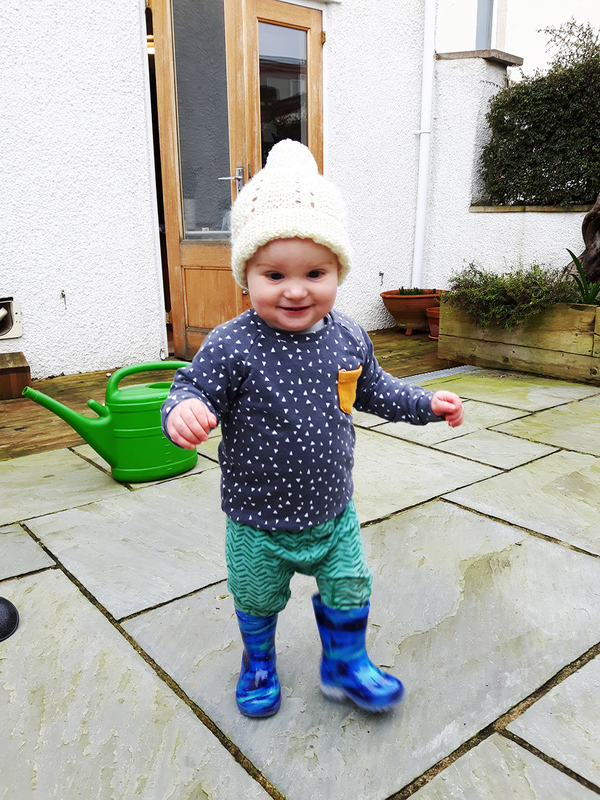 It’s been a while but we’re back on the blog - hooray! We may have been quiet on here but we’ve been very busy sewing. I wanted to share with you one of my latest makes, the Grainline Studio Farrow Dress. I made it using a gorgeous Atelier Brunette cotton gauze, gifted by Minerva Crafts. The fabric is very lightweight and perfect for summer garments, but the style of the Farrow Dress works well as a more transitional piece. Here it is layered up for winter and paired back for summer (scroll through to see more). To find out more about the pattern and fabric, check out my blog on the Minerva Crafts website. We're at the Southbank Arts Trail! Come and say hello to us at the Southbank Arts Trail! We'll be in St Francis' Church on North St (opposite Aldi) on both the Saturday and Sunday. We'll be showing what you can make in our classes, doing a few demos and generally wanting to meet all the lovely mums and mums-to-be that might be interested in taking classes. If you follow us on Instagram you may have noticed us mention a sweater pattern a couple of times by the company Misusu Patterns. I've made a couple of the 'Raglan Sweater' for my little boy, who is 14 months old, and wanted to finally share these with you! For the first version I decided to go for a colour block look for it - choosing an aquamarine green rib knit fabric, a mustard yellow rib knit and a petrol blue jersey for the main body of the sweater. All the fabrics were from Bizzy and Boo Fabrics, and all are lovely soft organic jerseys. The pattern has 2 pocket options - either a pocket on the chest or a kangaroo style pocket on the front. I decided that with the colours i'd chosen I would opt out of adding anything else to the sweater, as there was enough going on already! 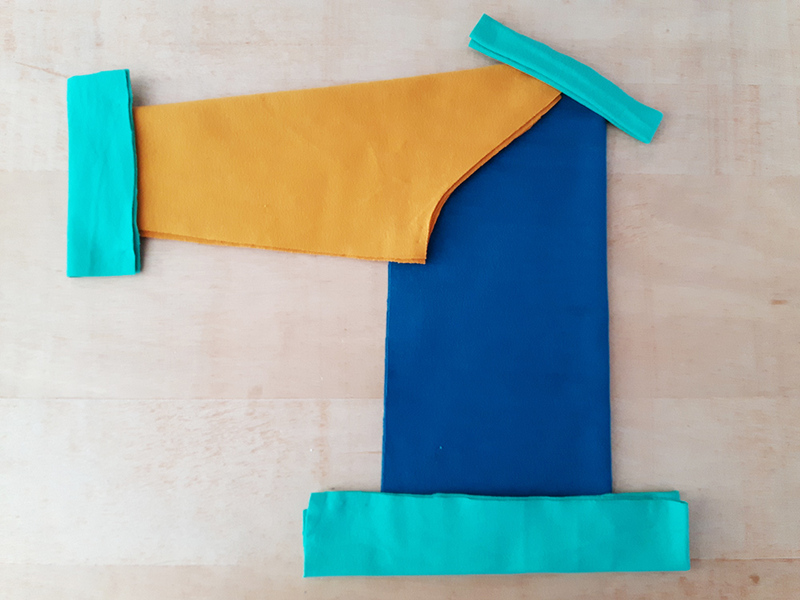 It was really hard trying to decide which colour would be the cuff, which would be the sleeve and which would be the main body of the sweater - I spent ages trying loads of different combinations and finally settled on aquamarine cuffs, yellow sleeves and a blue body. Once all the pieces were cut out the first step in making the sweater was overlocking the cuffs, neck and waistband. Then I overlocked the sleeves to the main body which was really straightforward, and then overlocked the side seams from the sleeve to the bottom of the sweater - making sure that the under arms matched and weren't wonky (as it would have been visible given my colour choices!). Finally it was time to add the neck, waistband and cuffs - the cuffs were a little bit fiddly but only because of the size. All in all it was a really nice and most of all quick pattern to do (the importance of sewing things that don't take an age to put together is pretty important with a 1 year old running around!!). For the second sweater I opted for a more muted overall look, but with a bright pop of yellow for the pocket. 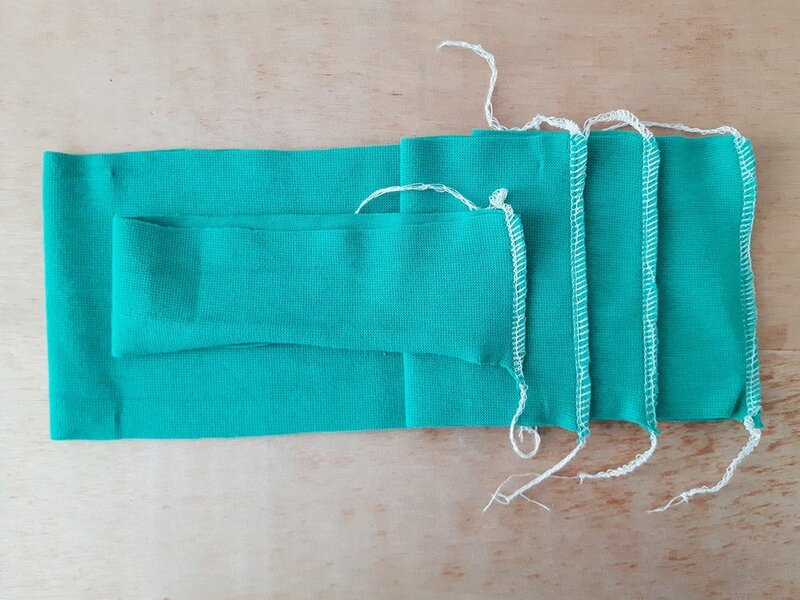 The only thing I would mention about this version is that the pocket was also a little bit fiddly, and for the next version i'd like to make it a little neater but it's not anything that's too noticeable. I've found the pattern so versatile, you can do so much playing with different colour ways and because you don't use much fabric, it's a great way to use some of your stash for bits like the cuffs or pocket. In terms of sizing, I made the 9-12 month size for my little boy just before he turned 1 and it still fits him now with a little bit more room to grow. My little boy is fairly average in size so i'd say that the pattern does come up slightly big.